In May 2017, I surveyed readers to determine if DivGro should publish guest posts. Most respondents supported the idea and I decided to start hosting guest posts in July 2017. This page provides guidelines for prospective guest authors and explains the submission process. If you're interested in writing a guest post for DivGro, feel free to contact me. DivGro welcomes articles related to Dividend Growth and Value Investing, Financial Independence and Frugal Living, and Using Options to Boost Dividend Income. If you have an idea for an interesting article that does not quite fit any of these categories, feel free to pitch it! DivGro does not compensate authors, nor do we accept payment for publishing guest posts. 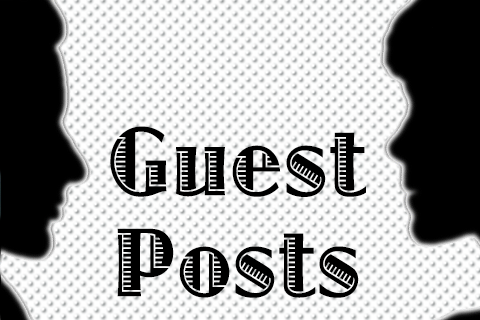 Guest posts must be the author's own, original, and unpublished work. Articles should contain at least 500 words and we prefer material with a healthy mix of text and related images. Please be sure to cite sources properly and include links where appropriate. Submissions will be reviewed by DivGro and we reserve the right to refuse publication. If a submission needs improvements before it can be selected for publication, we'll provide timely and specific feedback. When selected, we'll do a light editorial pass using Grammarly and format the submission for publication on DivGro, then schedule the guest post for publication. The following article originally appeared on [link to guest post on DivGro] on [date of publication]. Write the article as you normally would on your blog, but don't publish it! DivGro only publishes original and previously unpublished work. Include a short introduction of 50-70 words, appropriate for DivGro's header page. This is like a teaser for a movie... readers see this first and decide if they want to read the rest of the article! This article was written by [Your Name]. This article was written by [link to Your Blog]. This article was written by [Your Name] of [link to Your Blog]. Feel free to add a short blurb about your blog, portfolio, or interests. You can also add links to your Facebook, Twitter, StockTwits, Pinterest, or other social media accounts if you want. Save the article as an HTML text file and remember to include a title! See the first paragraph of Guidelines for submission categories. DivGro will acknowledge receipt of a submission as soon as possible. You'll be notified within seven days if we select your article for publication, in which case we'll tell you when it is scheduled to be posted. In some cases, we may provisionally accept your article, in which case we'll provide specific and timely feedback on ways to improve the article before it can be selected for publication. You'll need to resubmit the updated article for review. We may decline your article if we think it is not appropriate for publication as a guest post on DivGro. We'll tell you the reason(s) for declining your article. 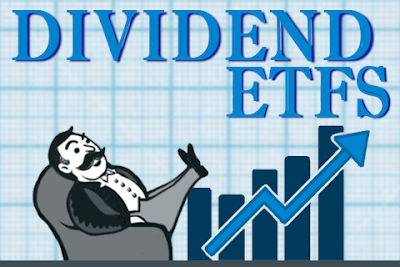 Are Dividend ETFs Worth Considering? Should Dividend Growth Investors Rebalance Portfolios? Should Taxes Influence Your Investment Decisions? Is Yield On Cost Important? Should Dividend Growth Investors Hold Non-Dividend Paying Stocks? Is Dividend Growth Investing Appropriate For Younger Investors? How Much Savings Do You Need To Retire? Feel free to suggest additional ideas for article topics in the comments section below. If you have questions about the guidelines or submission and review processes, please let me know in the comments section below. I love the blog that you have here! I've been looking for a place that follows dividends like i do. I feel that there are so many different ways to look at the positives and negatives of each stock. I'm pretty new to investing(3 yrs) but I see that I've been following a lot of the same sources as you. I'm really interested to check out the write up on the sectors. I have a google sheet outlining each sector and industry with the top performers of each. Thanks for your comment and kind words, Bill H -- all the best and happy investing!